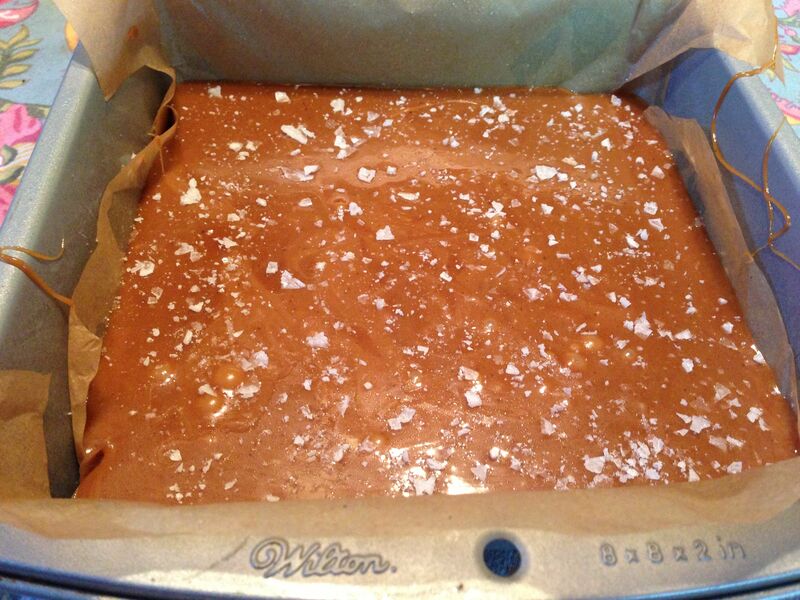 This is the pan of just-hardening caramels with sea salt on top of it. 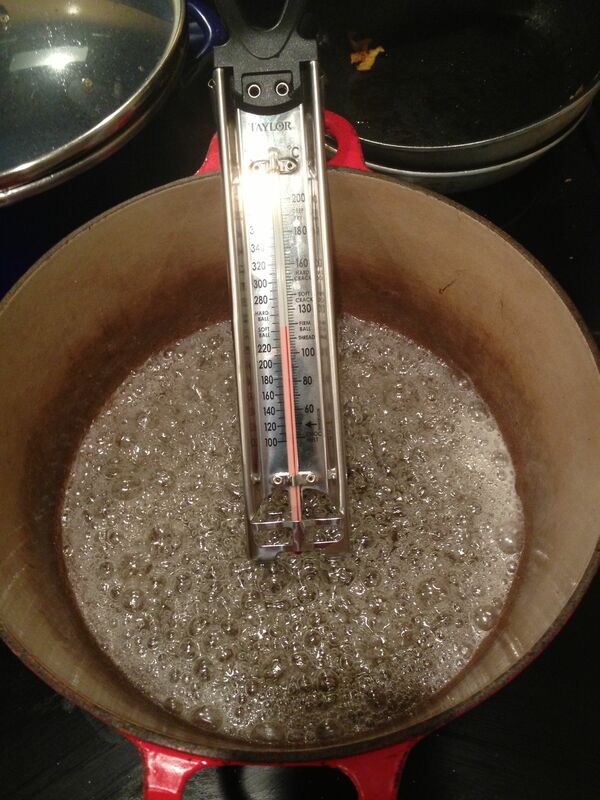 Candy Thermometer being used to make caramels. A lot of people make plans for the holiday like going to the beach. I always like to take the time to try out something new in the kitchen. Over the past few days I have made a challah (recipe coming soon) banana chocolate chip muffins (ditto) and caramels. I took the caramel recipe from thekitchn.com, a site almost certainly born out of the lack of available top-level domain names. However, I like the conversational tone of the recipe, and the clearly written advice throughout. I think the recipe might need some tweaking, because the final came out both bland and too hard. Of course, I blame it all on being a candy-rookie, because I know by Labor Day I’ll be getting it just right. Posted in Food Writing & Other Stuff and tagged Candy Making, Caramels, Robert deutsch, Sea Salt Caramels on May 25, 2014 by Robert Deutsch.